One-size doesn’t always fit all. Custom design is right for you if you want to start from scratch and customize your wedding invitations to your heart’s desire. 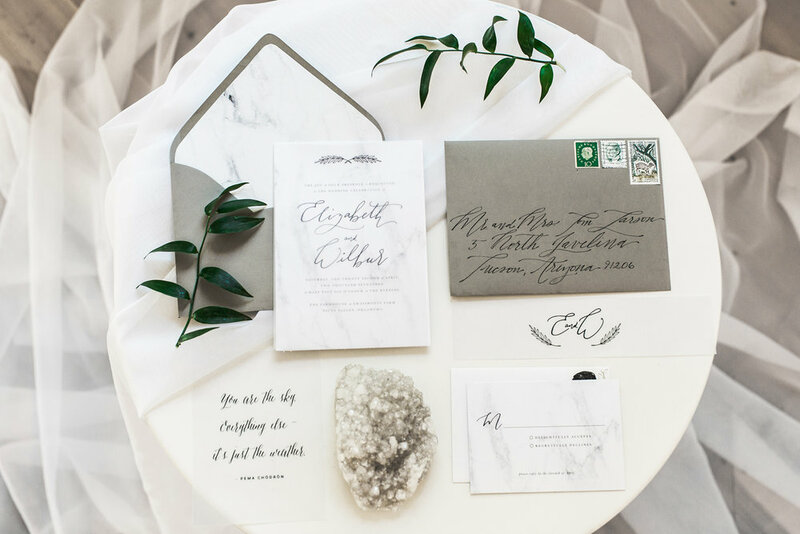 You believe your invitations should take your guests' breath away. When we say custom, we mean custom. You'd like to include a breathtaking photo of the lake you'll be married on? Done. Add a sloth (your favorite animal) to your Costa Rican invitations? You got it. A custom watercolor illustration of your venue? We can do that! We use our talents to make your stationery truly unique. From the first save-the-date to the final thank you card, we'll be with you every step of the way. We'll be sure to make your designs wow your guests and showcase who you are as a couple. 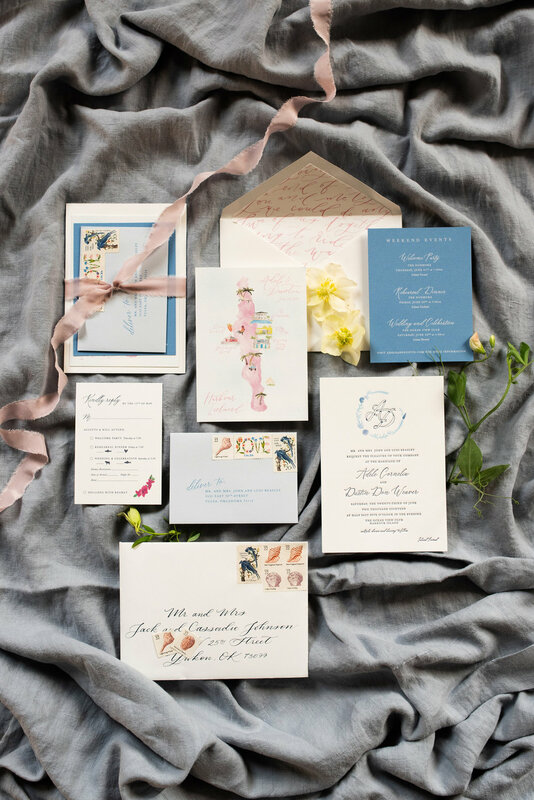 let's chat about your stationery! Semi-Custom Invitations are right for you if you know what you want when you see it, or if you are short on time/budget but still want something unique & beautiful that isn’t from a big-box store. Our semi-custom line of invitations make it so that you are able to customize our unique designs to fit your text and wedding colors. It's simple. Choose your favorite design from the collection, tell us the quantity of invitations you’ll need, and choose any add-ons or upgrades. Let us know the colors you’d like your invitations to be and any wording that should be changed. Voila. You can check invitations off of your wedding to-do list.